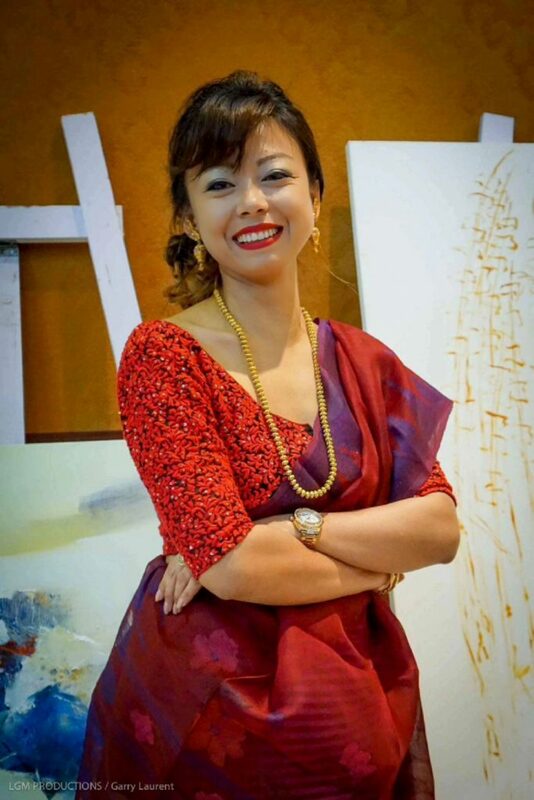 Meet Laishram Meena Devi, freelance painter from Manipur. 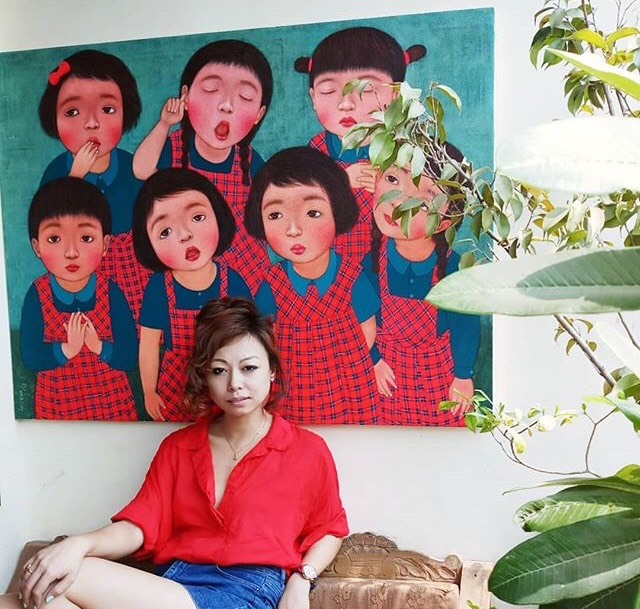 As a kid, she has been participating in a couple of painting competitions and growing up to having her own solo show, multiple of group exhibitions within the country and abroad! Meena has come really far on achieving her goals and living the dream. 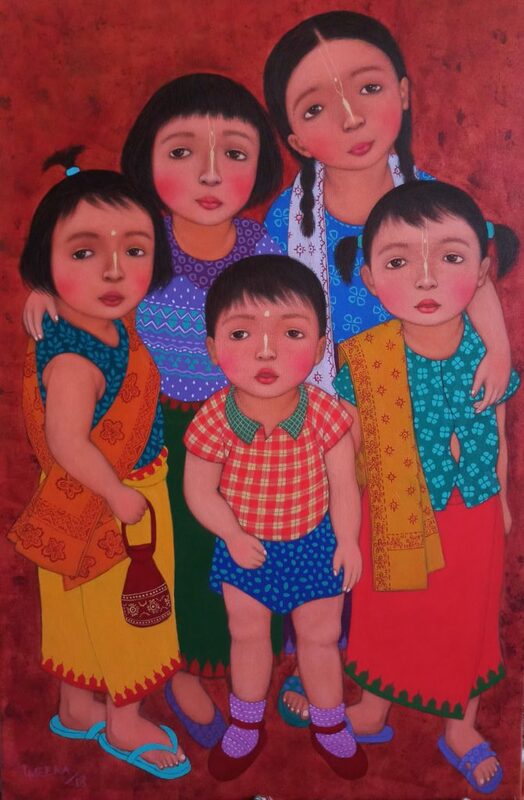 She is fascinated about painting Manipuri mother and children, the traditional touch could be seen in most of her works – “My paintings represent innocence of childhood, comfort, togetherness, mother and daughter relationship, friendship, etc“. Let’s read on to know better about Meena and her work! 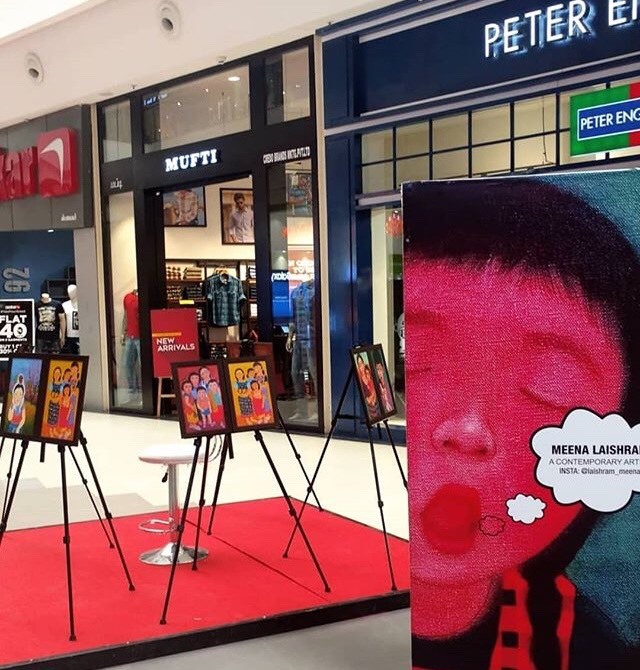 We had a chat with Laishram Meena Devi, artist from Manipur. 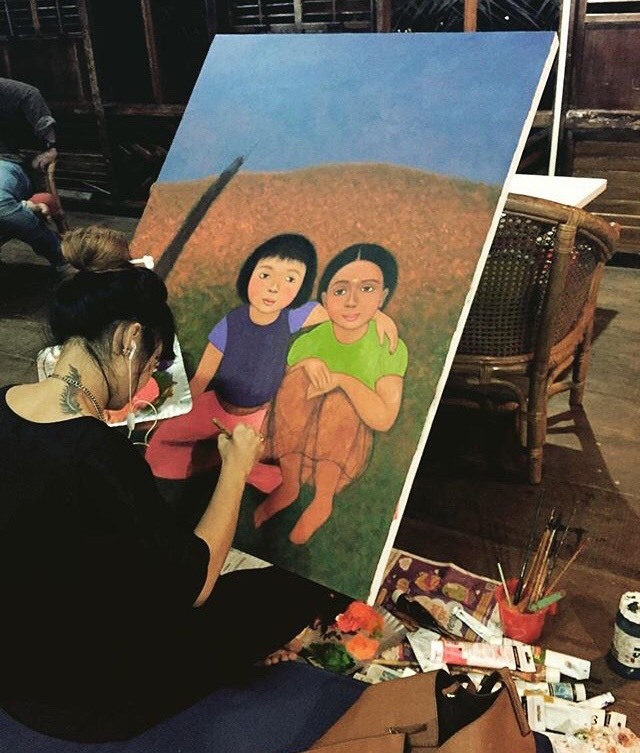 She talks about her work – how painting Manipuri women and kids fascinates her and what her paintings represents! Hi! Introduce a little about yourself. My name is Laishram Meena Devi, 30-years-old from Manipur. I’ve been living in Delhi for the past 15 years now. I did my bachelor of fine art (painting) from Jamia (gold medalist) at 2011 and M.F.A from College of Art , New Delhi at 2013. Since then, I am working as a freelance painter in Delhi. Introduce us to your work. How has your roots influenced your working style? My art is my journey in time. 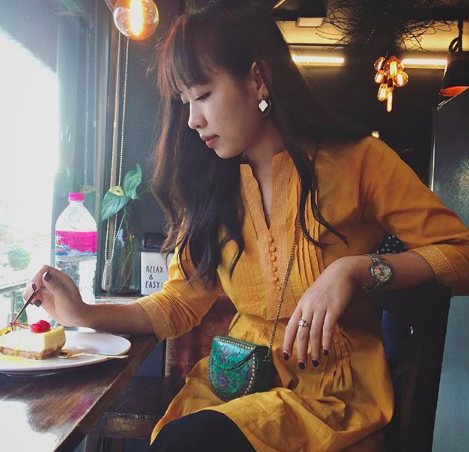 Here, I present my cultural identity as I see it – sometimes in colours and sometimes in techniques. I express my Manipuri identity on canvas as I have witnessed in our everyday interactions. The natural everyday process of living among similar believers and cultural-practitioners has always stirred inside me, where nature and life become inseparable. I engage in the socio-cultural discourse of my people, where history too plays a vital role. The merging of our lives in the lines of language, practice and thoughts has left my characters emotionless and they have adapted a calm exterior through their ‘blank expressions’. My paintings are of the portrait form, where my stories unfold through the character in the painting. 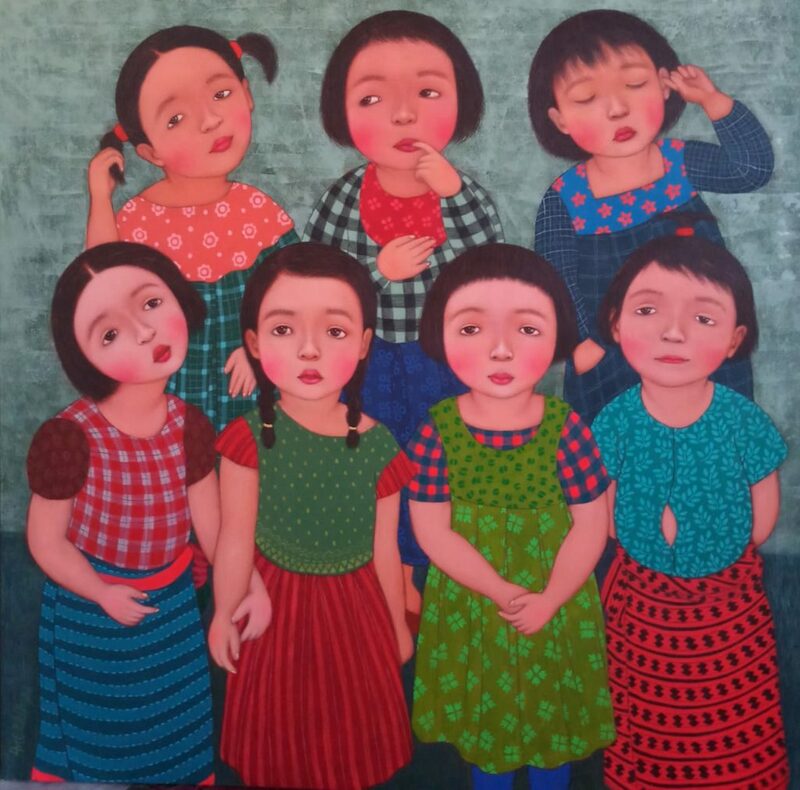 Their clothing, their innocence, their connection to nature, and their ongoing interactions with their viewers has made my art relatable for those who belong to the tribes of Kabui, Tangkhul and Meitei. In this process of recognition, I find myself redeemed in art. A constant negotiation between traditional cultures and the contemporary global life takes shape within my artwork, where my contributions as an artist becomes pertinent to the framing of history, and to the study of ethnography. Symbolic representation of my cultural discourse has made me a conscious artist towards my community in the North-Eastern India; a part which remains unrecognised and unempowered. Pain, physical and emotional, is captured in my longing of a childhood and gender, where purity and immediate requirements were the sole criteria for emotive responses. I depict life as I see it, and I depict my soul that is constantly changing. My art is a study and a meditation on the question of culture, life and narratives. It is in this moment of repose that I find my best expression in the best of conversations. What initially sparked your interest in this field? And what is your sources of inspiration. I have always loved to draw and paint since my childhood days. I remember participating in number of painting competitions when I was very young. My mom is my inspiration – even though she is not an artist, she used to draw beautiful pattern of embroidery designs which we still have at home. What is the theme behind your art? Drawing and painting Manipuri women and kids fascinate me the most and I love working on it. My paintings represent innocence of childhood, comfort, togetherness, mother and daughter relationship, friendship, etc. 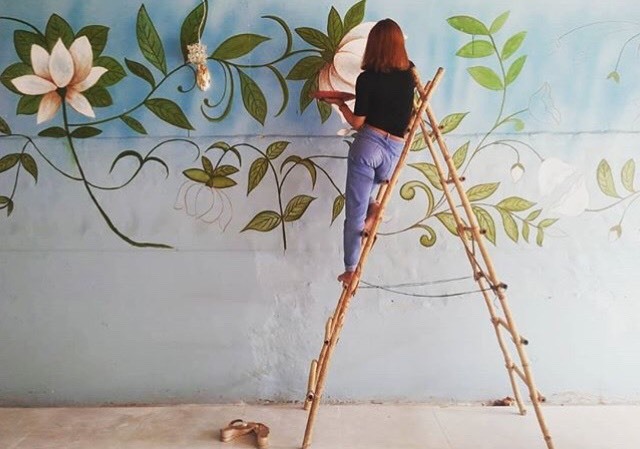 Meena working on one of her wall painting of beautiful flower and plants. I hope my paintings take you back in time evoking the simple life and innocence of childhood, happy place one can remember fondly and indulge in, leaving the viewer with a warm, fuzzy feelings of emotional comfort and nostalgia. Soulful and sensitive, my oeuvre revolves around figures of children. To know Laishram Meena Devi and her work better, follow her on Instagram!